The heart is the engine of the human body, but the way each child treats it can determine his health for the rest of his life. New research, published in the journal Circulation: Cardiovascular Quality and Outcomes, outlines the American Heart Association’s new findings on the long-lasting health effects of a child’s diet. "Our findings indicate that, in general, children start with pretty good blood pressure," the study’s lead author Dr. Donald M. Lloyd-Jones, a professor and chair of preventive medicine at the Northwestern University Feinberg School of Medicine in Chicago, said in a press release. "But if they have a horrible diet, it will drive a worsening body mass index (BMI) and cholesterol levels. The better we can equip our children to make healthy choices, the more cardiovascular health will be preserved into adulthood. And those who preserve their heart health into middle age live much longer and are much healthier while they live." 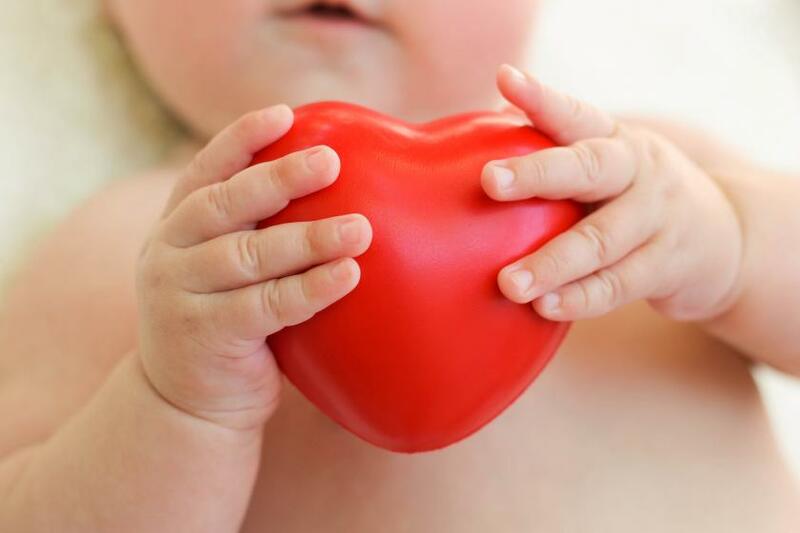 Researchers found most of us start out with a heart fit for a lifetime of activity, but it is in childhood that a heart’s health makes a turning point that will affect the person throughout adulthood. The team examined body mass index, diet, total cholesterol, and blood pressure, which represents four out of the seven components that determine one’s heart health. The 8,961 children they examined between the ages of 2 to 11 served to represent the 43.6 million children in America. Even though none of the children were found to have all four of the healthy heart criteria, all of the children had at least one measure. But as far as their diet went, fewer than 10 percent ate the recommended amount of fruit and vegetable, fish, and whole grains each day, while 90 percent of them ate more sodium and 50 percent ate more calories from sugar-sweetened beverages than recommended by the AHA. What’s worse is about 40 percent of children had moderate to poor cholesterol levels, and 30 percent of the children were obese or overweight (which isn’t far off from the general American children population). Make sure to incorporate as many naturally colorful food items into a child’s diet, such as carrots, blueberries, and red bell peppers, according to the AHA. Encourage your child to choose fruit and vegetables, instead of French fries or chips; ask for grilled instead of fried chicken; and drink water or fat-free milk, instead of soda or juice. Children seem to be born with a sweet tooth, and antioxidant friendly raisins can satiate the taste while providing benefit. People with gum disease are twice as likely to suffer from heart problems, so to avoid any conditions, children (in addition to dental hygiene) should rely on raisins and probiotic-packed yogurts to keep gum problems at bay. Food packages boast whole grain ingredients, but it’s for a good reason. People who eat a hearty amount of whole grains typically have a lower risk of heart disease, and the fiber it contains has been shown to lower heart disease risk by 40 percent. The more you eat, the more you lower your risk of heart disease with just a half a cup of cooked pinto beans a day. They act as a soluble fiber that helps keep the cholesterol away from being absorbed in the gut. They also contain heart-healthy natural chemicals such as flavonoids, which help to decrease platelets from sticking together and clogging up arteries. "We really need better surveillance data, especially in children," Lloyd-Jones said. "Information on physical activity, blood glucose, and smoking or exposure to secondhand smoke are not available for younger children. Without knowing how much physical activity a child is doing, and therefore how many calories are needed, we can't scale the diet metrics to a child's needs. So we used the adult metrics, but understand that it would be difficult for a 5-year-old to take in as many fruits and vegetables as an adult. The bottom line is that we need even better data, but what we do see is that we are losing an awful lot of our intrinsic cardiovascular health very early in life, which sets us up to be unhealthy adults." Source: Lloyd-Jones DM, Ning H, Labarthe DR et al. Circulation: Cardiovascular Quality and Outcomes. 2015.